1-1/2” square tubular 18 gauge steel welded frame is built for durability. Enamel Finish available in Beige, Black, Blue, Gray and Red. Standard Colors for Plastic SE tops are Almond, Gray, White and Black. Also available in other colors - call for more information. Double stringer design provides a superior understructure to roll-formed parts. Assembles quickly and easily with basic hardware. 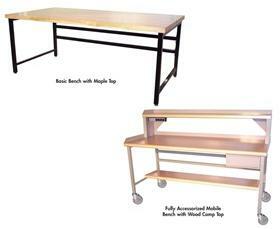 Basic bench includes includes legs, stringers, leveling glides and bench top. 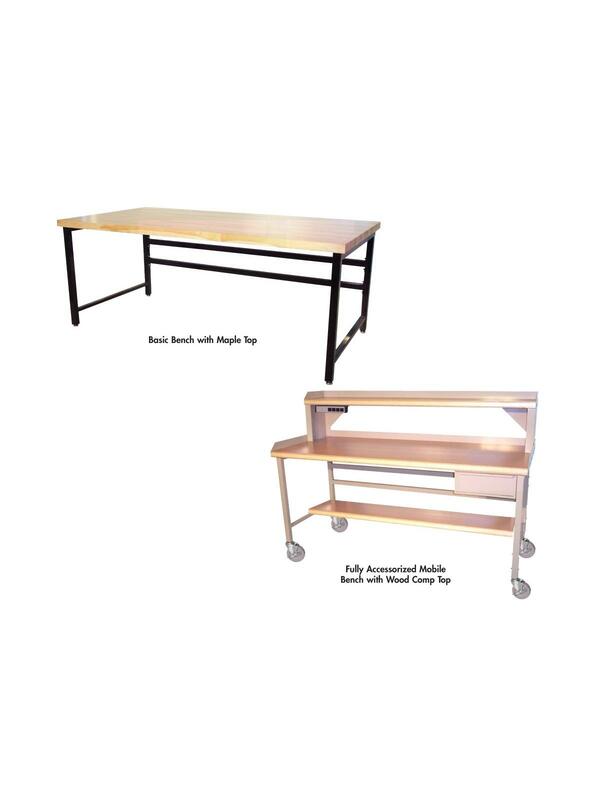 All 60" and 72" bench tops include a 12 gauge channel stiffener to prevent the top from sagging over time. 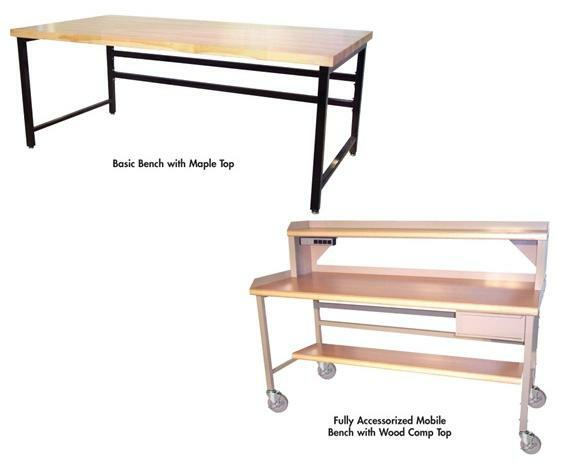 Fully accessorized bench includes 6" height adjustment, casters, lower shelf, drawer, 12" riser supports, matching riser shelf, back and end stops for bench, back and end stops for riser and 4 outlet power strip. All parts can be ordered separately to meet individual requirements - call for specific pricing. Standard colors for the Plastic SE tops are: Almond, Gray, White and Black. To order these colors, add the SKU to your shopping cart and indicate the desired Enamel Finish in the comments section. Also available in other colors.